Harvard University, School of Public Health, Sc.D. 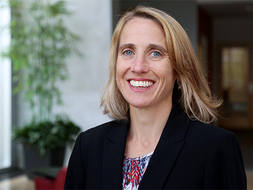 Diana Bowser has 15 years of experience in health system analysis related to health economics, health policy, and using econometric methods to evaluate health system changes in Latin America, Africa, and the United States. She is especially interested in health system issues and research related to health financing, poverty, catastrophic health payments, implementation, evaluation, income inequality, quality improvement, human resources for health, decentralization, and resource allocation in the health sector, and health and economic growth. She has provided technical assistance and conducted research with grants and funding from USAID, DFID, WHO, the Global Fund, Save the Children, Bill and Melinda Gates Foundation, IADB and the World Bank. She has worked closely with the following governments on these policy issues: Nigeria, Rwanda, Ethiopia, Ghana, Namibia, Swaziland, El Salvador, Nicaragua, Honduras, Belize, Saint Lucia, Dominica, Ukraine, Kosovo, Bangladesh, Malaysia, Haiti, Egypt, Oman and Kuwait. Dr. Bowser earned her BA from the Harvard College, her MPH from Yale School of Public Health and her Doctor of Science in health economics from the Harvard School of Public Health. She is fluent in Spanish and has lived in Latin America. Diana Bowser, Bryan Patenaude, Manjiri Bhawalker, Denizan Duran, and Peter Berman. "Benefit Incidence Analysis in Public Health Facilities in India: Utilization and Benefits at the National and State Levels." International Journal for Equity in Health 18. 13 (2019): 1-11. Diana Bowser, Manjiri Bhawalker, Rajesh Jha, and Peter Berman. "The challenge of additionality: the impact of central grants for primary health care on state-level spending on primary health care in India.." International Journal of Health Policy and Management (2019). Yakob, Bereket, Anna Gage, Tsinuel Girma, Sarah Hurlburt, Seifu Hagos, Girmaye Dinsa, Diana Bowser, Peter Berman, Margaret Kruk, and Ephrm Tekle. "Low effective coverage of family planning and antenatal care services in Ethiopia. International Journal for Quality in Health Care." International Journal for Quality in Health Care Jan 4. (2019). Yakob, Bereket, Anna Gage, Tsinuel Girma, Sarah Hurlburt, Seifu Hagos, Girmaye Dinsa, Diana Bowser, Peter Berman, Margaret Kruk, and Ephrm Tekle. "Low effective coverage of family planning and antenatal care services in Ethiopia." International Journal for Quality in Health Care Jan. 4. (2019). Bowser, Diana, Brandy Henry, Gail Wasserman, Danica Knight, Sheena Gardner, Kate Krupka, Bill Grossi, Margaret Cawood, Tisha Wiley, and Angela Robertson. "Comparison of the Overlap between Juvenile Justice Case Processing and Behavioral Health Screening and Referral to Services." Journal of Applied Juvenile Justice Services 5. 1 (2018): 96-125. Bowser, Diana, Donald Shepard, Allyala Nandakumar, Adeyemi Okunogbe, Tyler Morrill, Yara Halasa, Monica Jordan, and Farida Mushi. "Cost Effectiveness of Mobile Health for Antenatal Care and Facility Births in Nigeria." Annals of Global Health 84. 4 (2018): 592-602. Bowser, Diana, Laura Krech, David Mabirizi, Angela Y. Chang and Thomas Bossert. "Practices and Behaviors at the Health Facility Level that Influence Supply Chain Management for Antiretrovirals: Evidence from Namibia, Cameroon and Swaziland." BMC Health Services Research Under Review. (2018). Jennifer Becan, John P. Bartkowski, Danica K. Knight, Tisha R. A. Wiley, Ralph DiClemente, Lori Ducharme Ducharme, Wayne N. Welsh, Diana Bowser, Kathryn McCollister, Matthew Hiller, Anne C. Spaulding, Patrick M. Flynn, Andrea Swartzendruber, Megan F. Dic. "A Model for Rigorously Applying the Exploration, Preparation, Implementation, Sustainment (EPIS) Framework in the Design and Measurement of a Large Scale Collaborative Multi-Site Study." 6. 1 (2018). Bowser, Diana, Hannah Marqusee, Maria El Koussa and Rifat Atun. "Health system barriers and enablers to early access to breast cancer screening, detection and diagnosis." Public Health 152. 1 (2017): 58-74. Bowser, Diana, Yasmin Abbas, Temitope Odunleye, Edward Broughton, and Thomas Bossert. "Quality of Care in Medical Schools in Sub-Saharan Africa." International Journal of Medical Education 8. (2017): 276-282. Ilhom Akobirshoev, Diana Bowser, Susan Parish, Cindy Thomas, Sara Bachman.. "Does parental health mediate the relationship between parental uninsurance and insured children’s health outcomes? Evidence from a national survey in the United States." Health and Social Work March 2. (2017): 1-9. Bowser, Diana, Jaya Gupta, and Allyala Nandakumar. "The effect of demand- and supply-side health financing on infant, child and maternal mortality in low- and middle-income countries." Health Systems & Reform April. (2016). Diana Bowser, Wu Zeng, Ilhom Akobirshoev, and Tyler Morrill. "The Impact of Health Care Spending and Income Inequality on Stunting Prevalence." International Journal of Healthcare 2. 2 (2016): 23-33. Maria El Koussa, Rifat Atun, Diana Bowser, Margaret E. Kruk. "Retaining physicians in the public sector: a systematic review of drivers of attrition and policy interventions." Journal of Global Health 6. 2 (2016): 020403. Ben Walker, John McGown, Diana Bowser, Alison Patev, Frances Reade, Maoven Razavi, David Dzielek, and Linda Southward. "An Assessment of Emergency Department Use Among Mississippi’s Medicaid Population." Journal of Mississippi Medical Association May. (2015). Bowser, Diana and Mande Limbu. "Human rights principles in maternal health." The Roar Behind the Silence: Why kindness, compassion and respect matter in maternity care. First ed. vol. First Ed. Sheena Byrom and Soo Downe. London: Pinter and Martin, 2015. 0-10. Bowser, Diana, Angela Chang, Thomas Bossert, David Mabirizi. Assessing Facility-Level Practices and Behaviors That Affect Antiretroviral Medicines Supply Chain. Washington, DC MSH-SIAPS/USAID: 2015. Bowser, Diana, Subramanian, Laura, Elizabeth Oliveras, Adeyenmi Okunogbe. "A costing effectiveness analysis of a Community health work program in Mozambique." Journal of Primary Care and Community Health Inprint. 0 (2015): 1-8. Bowser, Diana,Don Shepard, Wu Zeng, Yara Halasa. Cost Effectiveness of mHealth Program for ANC care in Nigeria. Watertown/Waltham Pathfinder International: 2015. Bowser, Diana, Adeyemi Okunogbe and David Canning. "The impact of tobacco taxes on health outcomes, 1970-." Tobacco Control Published online first. doi: 10.1136/tobaccocontrol-2014-051666 (2014): 1-8. Bossert, Thomas, Diana Bowser, Till Baernighausen, Andrew Mitchell, and Susan Powers-Sparkes. "Global Fund investments in human resources for health: innovation and missed opportunities for health systems strengthening." Health Policy and Planning Advanced Access. (2013): 1-12. Bowser, Diana and Danielle Fuller. A Results-Based Financing Situational Analysis for Saint Lucia. Washington, DC World Bank: 2013. Bowser, Diana and David Canning. "The effect of health improvements due to tobacco tax on earnings in the United States, 1970-2005." Applied Economics 45. 36 (2013): 5021-5030. Bowser, Diana, Adeyemi Okunogbe, and Danielle Fuller. A Results-Based Financing Situational Analysis for Dominica. Washington, DC World Bank: 2013. Bowser, Diana, Jaya Gupta, and Allyala Nandakumar. "The Effect of “Bottom Up” Investment in Low and Middle Income Countries on Infant, Child, and Maternal Mortality." 2013. Bowser, Diana, Ramon Figueroa, Adeyemi Okunogbe, and Laila Natiq. "A Preliminary Assessment of Pay for Performance, Health Systems, and Health Outcomes in Belize." Global Public Health 8. 9 (2013): 1063-1074. Bowser, Diana and Wu Zeng. Working Paper: A Country Level Analysis of Stunting Reduction Targets. Save the Children: 2012. Bowser, Diana. Working Paper: A Costing Analysis of Two Community Health Worker Programs in Mozambique. Pathfinder International: 2012. Diana Bowser. "Working Paper: The effect of health improvements due to tobacco control on earnings in the United States." 2011. Diana M. Bowser and Ajay Mahal. "Guatemala: The economic burden of illness and health systems implications." Health Policy 100. (2011): 159-166. Bowser, Diana and Kathleen Hill. "Disrespect and Abuse in Facility-based Childbirth." 2010. David Canning and Diana M. Bowser. "Investing in health to improve the wellbeing of the disadvantaged: Reversing The argument of fair society, health lives (The Marmot Review)." Social Science & Medicine 1/4. (2010). Cosby, Arthur G. and Bowser, Diana. "The Health of the Delta Region: A Story of Increasing Disparities." Journal of Health and Human Services Administration Summer. (2008). David Bloom and Diana M. Bowser. "The Population Health and Income Nexus in the Mississippi River Delta Region and Beyond." Journal of Health and Human Services Administration Summer. (2008). Bossert, Thomas J., Bowser, Diana, Johnny K. Amenyah. "Is decentralization good for logistics systems? Evidence on essential medicine logistics in Ghana and Guatemala." Health Policy and Planning 22. 2 (2007): 73-82.